We did it. Tied the knot. Hitched the wagon. Took the plunge. Bought the cow. Dropped the anchor. GOT MARRIED. Now that the crazy families of ours have headed home, we ventured off to our honeymoon. 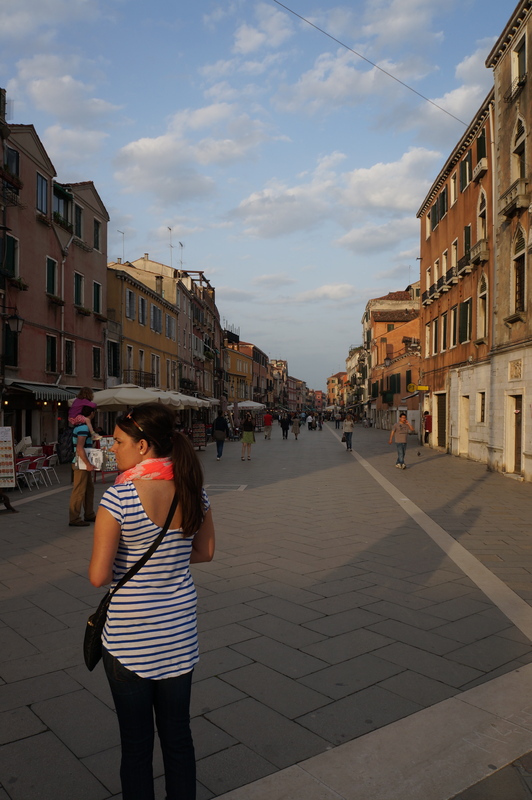 Two weeks in Italy – Rome, Florence & Venice. I have never been to Europe, but knew that if I never get the chance again I have to go to Italy. 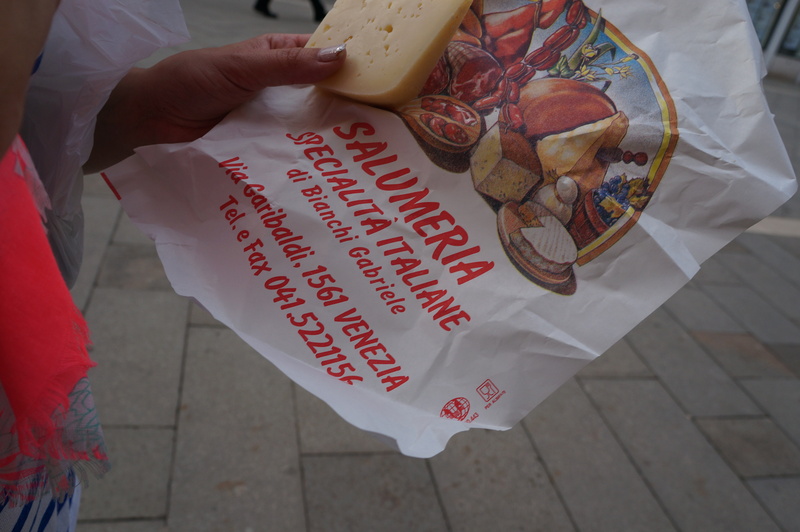 Pasta, wine & cheese while roaming the streets and shopping…really, it’s all I need. If looking for a shop in Venice to buy meats, cheese & wine for exploring go to this shop.The owner was incredibly nice, giving us samples and even opened a bottle of champagne to celebrate the day. Yes, that is all he needed as an excuse. While you think you cannot go wrong in Italy with food, beware of the tourist traps that have guys standing out herding you in. Even if you’re starving, wait to get off of the beaten path and find a place that is actually about making the food, not just serving tourists. We ate at over 20 places while venturing, but a few cheesy dishes I still cannot get off of my mind. The first comes from a hidden neighborhood restaurant that we were told we had to try. This place was so hidden, not even the cab driver knew where it was. 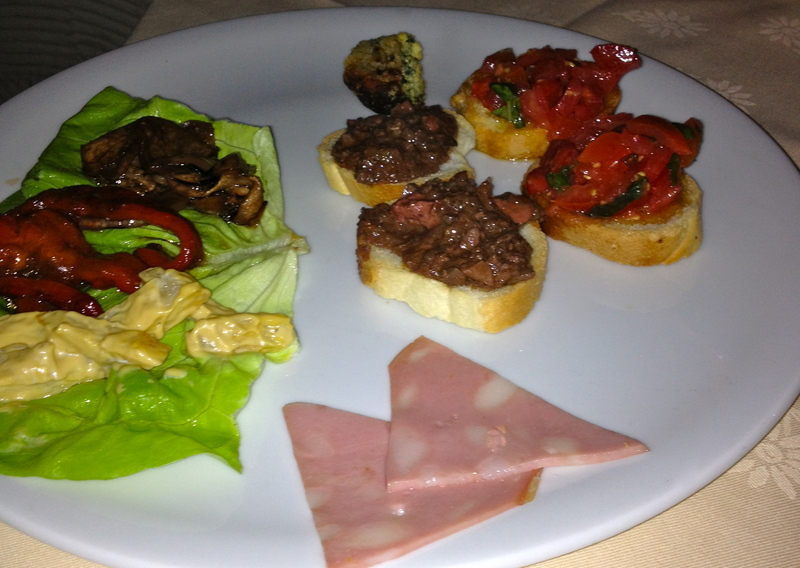 Some family that had recently been to Rome told us we had to go though if we wanted a real Italian meal. We entered the tiny restaurant and were greeted by an old man eating his dinner. We were being true Americans by trying to be seated before 8 pm, but were starving after exploring all day. He didn’t speak a lick of English but we were fine with it. We asked him to bring us anything and everything – we wanted to try it all. He laughed with us as at the episode (his daughter had discrepancies with one of Bourdain’s dinner guests) as the food began to flow. After alicette fritte (fried anchovies), baked buffalo mozzarella wrapped in prosciutto and endless wine poured from his built in wine barrel (you can see behind Bourdain at about 3:40 mark), we were served the dish we were told to order no matter what. Fettuccine alla carbonara fiori di zucce. So rich. So perfect. The pasta done al dente, the egg, the prosciutto, the wilted zucchini flowers, heaven. The mixture of the egg and zucchini sauce with the freshly grated parmesan snowing over the mound of noodles was exactly what I envisioned when I thought Italian. 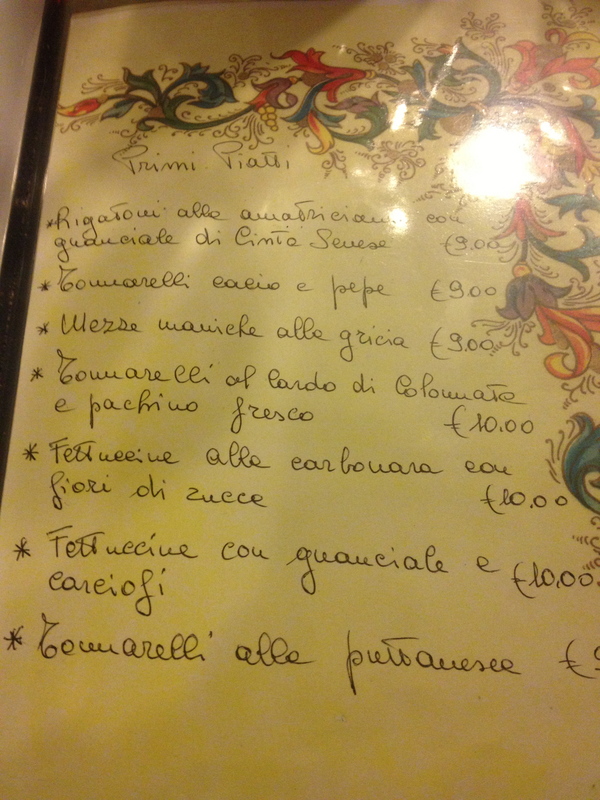 Il Timoniere Menu in Rome where Anthony Bourdain ate. 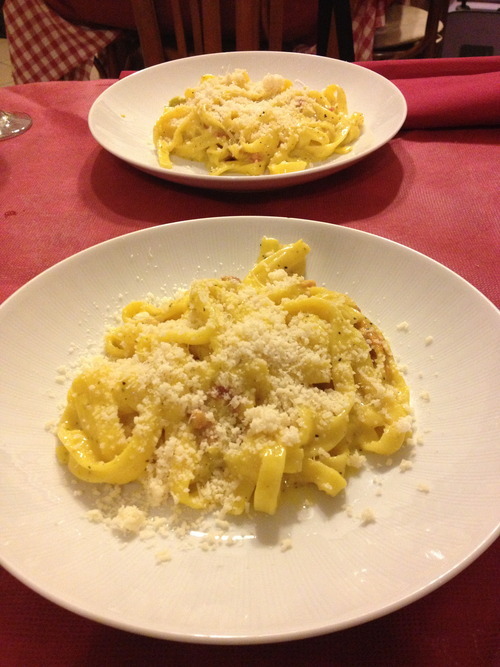 Our second experience was in Florence. 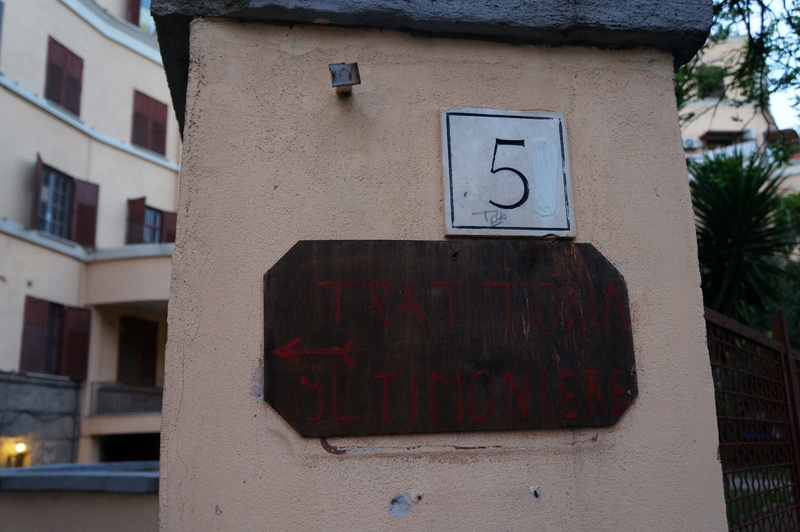 We had heard that we had to visit the Italian hippy that the celebrities loved to dine with. 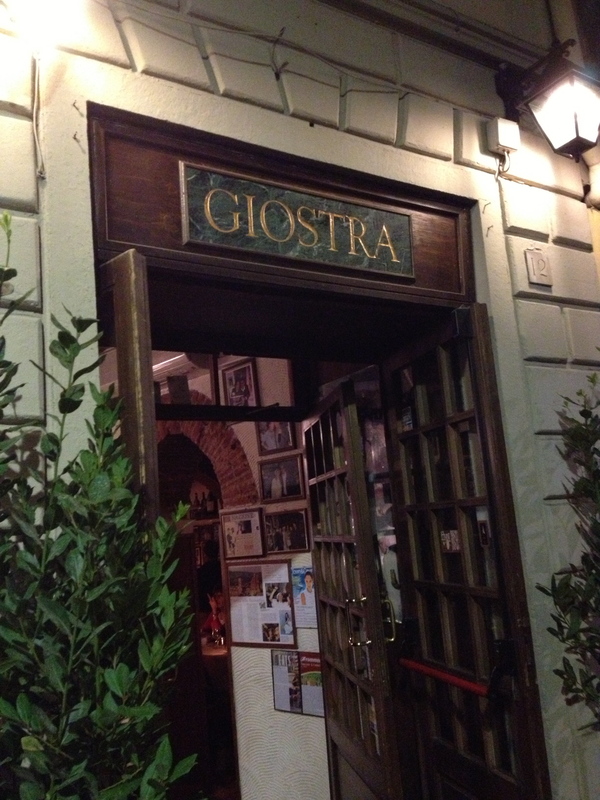 Ristorante la Giostra a Firenze was in walking distance of our hotel, the perfect night tour of neighborhood domas. 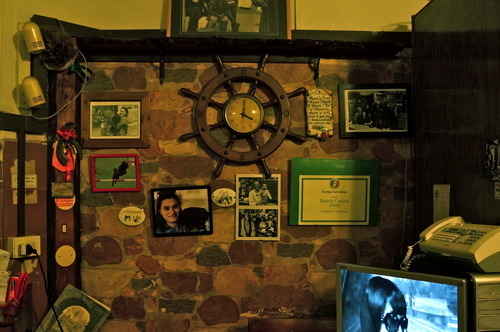 La Giostra is covered in photos of Dimitri’s travels (the chef/owner who is rumored to be a Habsburg prince), celebrity friends who have visited the restaurant and eclectic knick nacks covering the crannies. The restaurant is offset by crisp white tables with single candles, plenty of space for food and wine. We were coincidentally sat at a table that had photos of Dimitri on a motorcycle tour through the Grand Canyon. We were also treated with him as our server for the night. 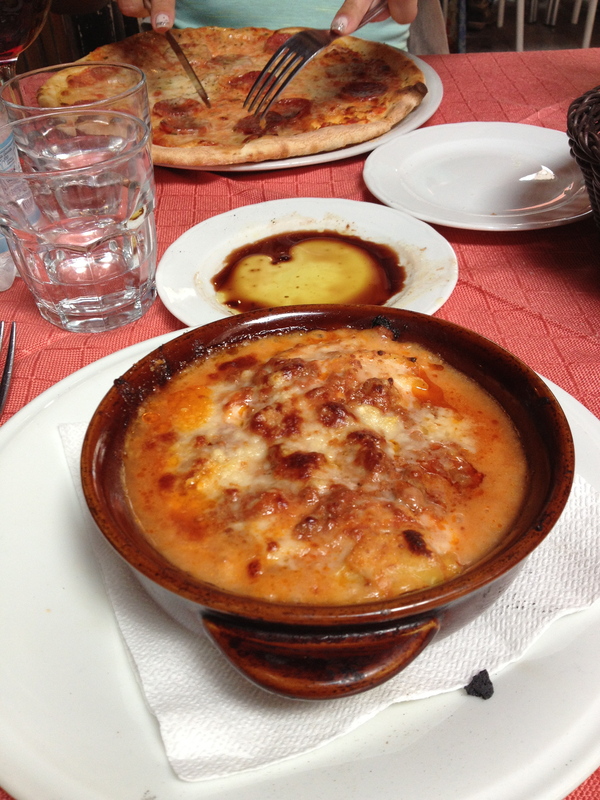 We chatted with him about his trip and fell in love with La Giostra before a morsel even touched our lips. The dimly lit table is your escape for the evening, as they want nothing more than for you to stay as long as you wish, with their motto being “The very slow food…the best!” You start your dinner with a complimentary flute of spumante and primi of crostinis. Pasta and steak followed, with my first gnocchi dish eaten in Italy. 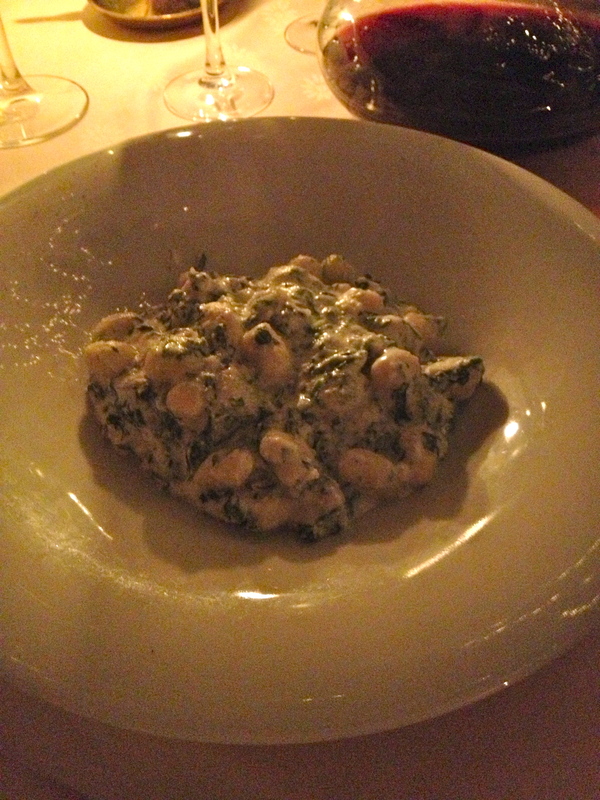 Each pasta was hand rolled and cut, covered in a melted ricotta and spinach sauce. Gnocchettini alla ricotta spinaci. We left overbearingly full, but filled with a memory of the prince with the metal bangles on his wrists. I will update this post later with a full list of the restaurants that we ate at and ratings on them if I can get all the Yelp & Foursquare check-ins!